All the fireworks, music and parties in our capital cities to welcome 2017. A crowd of one million spectators is expected to gather along the Sydney Harbour foreshore to watch the fireworks spectacular, while an estimated global audience of one billion will see broadcasts of the fireworks. If there's one thing that Australia does well, it's ringing in the new year in style. As one of the first countries to count down to the New Year, we expect nothing less than spectacular fireworks, concerts, parties, and more. How will you celebrate the end of 2016? Here's your guide to all of the festivities in our major cities to help you decide. Of course, the world will turn to Sydney Harbour when it will be lit up with fireworks at 9pm and midnight. This year's spectacular will pay tribute to David Bowie, Prince and Gene Wilder, promising innovative new designs inspired by the music and entertainment legends. There are many vantage points to choose from, some free and some ticketed. Check the vantage point map to see where you can go (only a few tickets are left). Many of the locations are booze free so check if your chosen location will serve alcohol on the day. Plan your night well because with around 1 million people around the harbour, things are going to be a bit crazy. The CBD fireworks will be broadcast on ABC TV and ABC iview with the fireworks also streamed live on ABC TV Facebook. Sydneysiders can tune into 104.1 2DayFM for the official soundtrack at 9pm and midnight. Getting there: Public transport is the best way to get around with 1000 extra trains and 3,500 extra bus services scheduled. But if you're planning to catch a ferry, chances are they will fill up fast, so have a backup plan. Bus stops could also be closed or moved due to road closures. See Transport.info to plan your trip for the night. There will be widespread road closures as per usual -- check this interactive map for all of the details and keep an eye on Live Traffic NSW for traffic updates on the night. 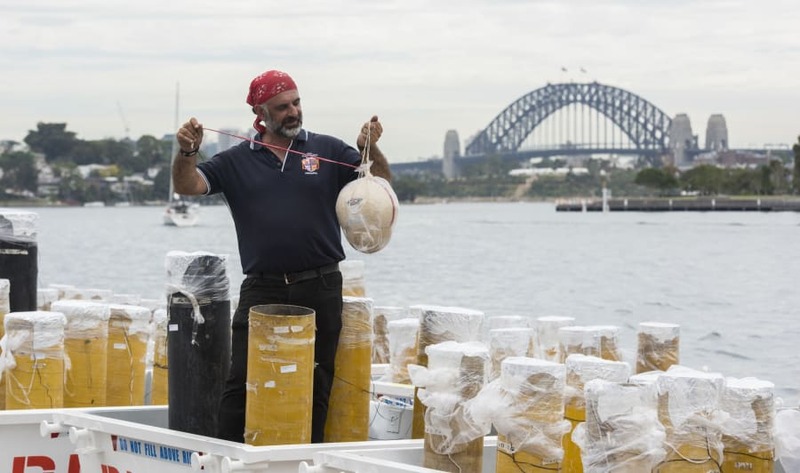 Fortunato Foti, Sydney's NYE fireworks director from Foti Fireworks holds one of the shells on December 29, 2016 in Sydney, Australia. 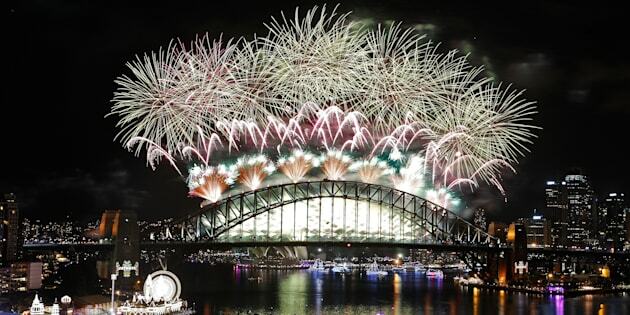 Sydney's New Year's Eve fireworks displays include seven tonnes of fireworks, 12,000 shells, 25,000 shooting comets and 100,000 individual pyrotechnic effects. Additionally, this years display will fire from 7 barges on the harbour, the Sydney Opera House and 175 points on the Sydney Harbour Bridge. 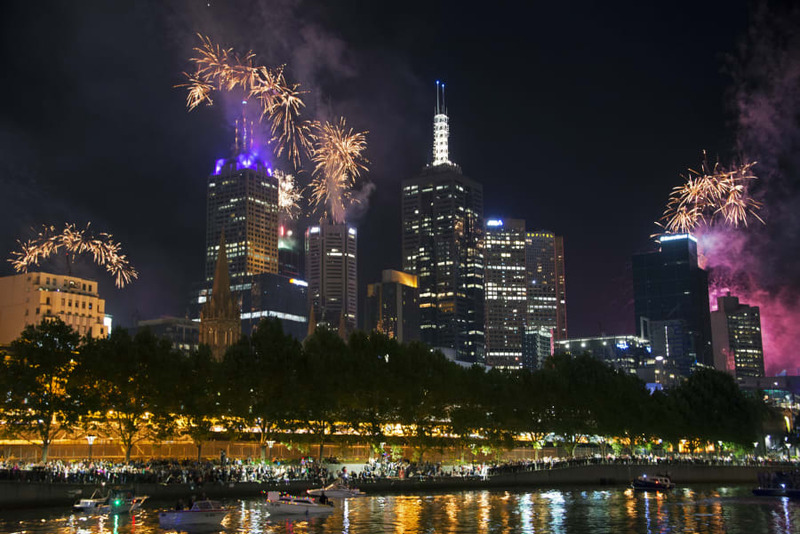 Around half a million people are expected to go to the Melbourne CBD to view the fireworks. There will be four official live sites atKings Domain, Docklands, Treasury Gardens and Flagstaff Gardens, from 9pm to 1am, complete with entertainment and facilities. But if you have little ones or can't wait until midnight, there will be New Year's Eve entertainment at both Yarra Park and Footscray Park from 6pm-10pm, including a 9:30pm fireworks show. Alternatively you could head to Fed Square from 8pm to late for the coolest (free) block party in town. There will be a diverse live music show with Latin beats, salsa, funk, hip hop, Caribbean spice and new school dance battles. And it's a fabulous spot to see the fireworks. Getting there: The city loop stations are the best way to access live sites but try to avoid Flinders St Station if possible. Public transport will be free from 6pm. At the end of the night, walk to Flinders Street Station or Southern Cross station. All other city loop train stations will close at 11.45pm. See the City of Melbourne's NYE website for full details. But if you stay away from the city, you'll be able to see the fireworks at any point where you can see the skyline while listening to the official synchronised soundtrack live on FM99.7. Channel 7 will broadcast live from Melbourne starting from 11 pm. In Melbourne, if you have a view of the city skyline you will be able to view the New Year's Eve fireworks from outside the CBD. All eyes will turn towards the River Torrens and Pinky Flat where you can catch fireworks displays at 9pm and midnight. The tip is to try to find a view of the Riverbank Bridge for the midnight show. The carnival will kick off at 7pm down at Elder Park with live music, street theatre and food stalls. See here for the details. Getting there: Make the most of free public transport from 5pm until dawn. Street parking will be limited but you can book parking before the night with UPark. The Riverbank Bridge will be closed temporarily during both the 9pm and midnight fireworks displays. There will be three fireworks sites along the Brisbane River this New Year's Eve. South Bank will host a 10 minute show at 8:30pm and midnight, with a line up of free outdoor movies, food trucks and music in the lead up to the fireworks. Portside Wharf will also light up the sky at 8:30pm and midnight, with local band Karma playing from 8pm. Eagle Street Pier will also have an eight minute fireworks show on the river at midnight. Getting there: Translink are putting on extra bus, train and ferry services with free travel from 8.45pm on Saturday 31 December until 5.30am on Sunday 1 January. If you're driving, there will be lots of road closures around the CBD so be sure to check traffic updates. The Brisbane River will light up again this New Year's Eve. You want to be on the waterfront this New Year's Eve in Hobart. Fireworks will launch of barges in the River Derwent at 9:30pm and midnight. The biggest party in town will be at the Taste of Tasmania food festival at Princes Wharf Shed 1 from 7pm. You can expect great food, drinks and live music headlined by Kate Ceberano. Oh and there's prizes for best dressed -- angels and devils -- with proceeds of ticket sales going toward research to save the Tassie Devil. General admission tickets are $59 each with children aged 12 years and under getting in for free with a parent. Getting there:Extra nightrider buses will be running in addition to the regular timetable with a $2 flat fee after 6pm. Nice! Canberra will host two free concerts to dance your way into the New Year. The Potbelleez will take to the stage atCivic Square, playing before and after the 9pm family fireworks. The line-up also includes Heuristic, Nostalgia and the Brass Knuckle Brass Band. Over atGarema Place, the Base at the Place all-ages dance party will be pumping from 9pm to 1am. 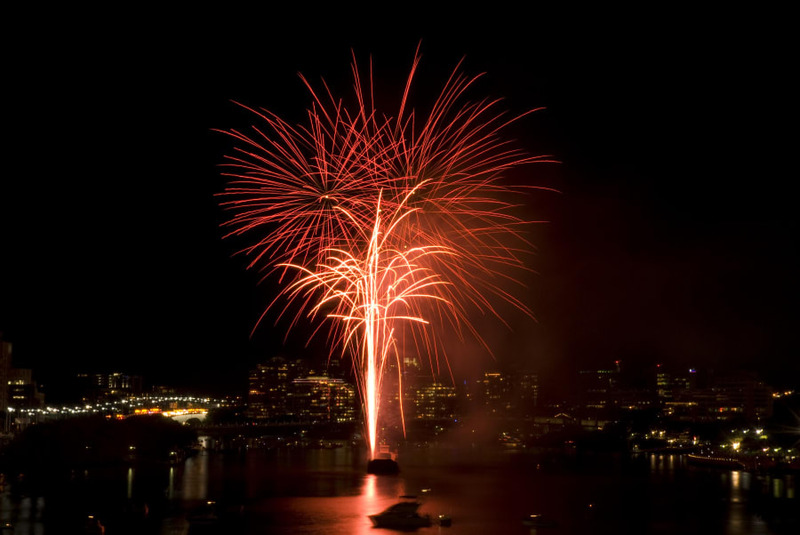 Fireworks will be launched from City Hill at 9pm and midnight. Getting there:Nightrider buses will run every 10 minutes from major stops around until 2am. You can sign up for a $10 discount on Uber to get all the way home safely. In Perth, fireworks will launch from the Swan River at midnight. King's Park will host a family-friendly event to ring in 2017. Note that smoking, glass, alcohol and spikey things (tents and shade sails) are not allowed at King's Park and the Botanic Gardens. The City of Perth is putting on free outdoor entertainment across two stages atNorthbridge. A family-friendly party will kick off onRottnest Island from 3:30pm with stage shows, food and a 9pm fireworks display. Getting there: Check for road closures around King's Park before you drive to your NYE event. Discounted ferries to Rottnest Island will be available on New Year's Eve. There will also be extra train, bus and ferry services on the night.